My introduction to the Delmarva Peninsula occurred during a lecture in which Dr. Meghan Davis presented some incredible statistics about the region. Dr. Davis described Delmarva as having one of the highest densities of poultry production in the world. Sadly, this concentration of poultry production is generating large amounts of agricultural runoff (manure, nitrogen, etc.) that pollutes the Chesapeake Bay.1 The runoff creates marine dead zones (areas unable to sustain life due to dissolved oxygen depletion2) and alters the microbial compositions and ecosystem functions within the bay.1,3 I subsequently learned that many Delmarva farmers are unhappy with the predominant model of poultry production in the region and its detrimental effects. What inhibits these farmers from adopting alternative production models? As a research assistant at the Center for a Livable Future at the Johns Hopkins Bloomberg School of Public Health, I had the opportunity to attend the 2017 Factory Farm Summit hosted by the Socially Responsible Agricultural Project in Ocean City, Maryland, which is located on Delmarva, an area composed of nine counties in Maryland, parts of three counties in Delaware and two counties in Virginia,. The summit exposed me to the magnitude and profusion of poultry production on the Delmarva Peninsula. In addition, I was able to engage with and attend presentations by animal agriculture producers, public health experts, social and environmental justice experts, government officials and community members. This experience inspired me to learn more: What specific factors within the current system are inciting dissatisfaction among farmers, researchers, and the public? Why was it so difficult to incorporate practices other than those associated with the predominant agricultural model? And what challenges were these farmers encountering that prevented them from implementing a higher level of environmental stewardship, a goal to which most poultry producers in attendance seemed to aspire? These experiences, both in the classroom and at the summit, led me to pursue the answers to my questions through my Master of Public Health Capstone (thesis) project, “Sustainable Animal Agriculture on the Delmarva Peninsula: An analysis of state and federal policies.” During my research, I identified three barriers as the primary limitations to implementing more sustainable practices: (1) finances, (2) access to information and services, and (3) indebtedness to existing poultry production contracts. 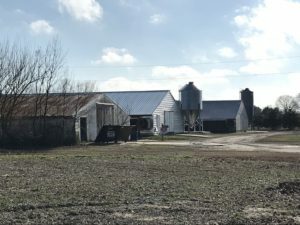 I also had the opportunity to interview three farmers from Delmarva and gain better insight into the agricultural landscape through their personal experiences. Using this research, I summarized and assessed federal and state level policies related to animal agriculture and environmental stewardship, identified national and regional informational resources, and compiled information regarding production contract resources. 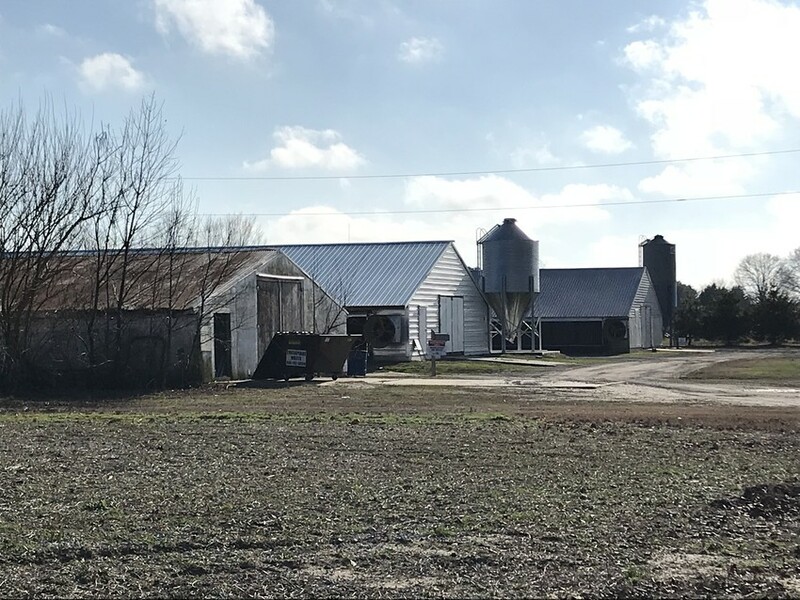 It is my hope that the research and findings within my paper will serve as a resource for farmers, community members, and other stakeholders looking for alternatives to the predominant system on the Delmarva Peninsula, as well as other areas of high-density poultry production. U.S. EPA Office of Wetlands, Oceans and Watersheds. Guidance for Federal Land Management in the Chesapeake Bay Watershed. 2010. https://www.epa.gov/sites/production/files/2015-10/documents/chesbay_chap02.pdf. Accessed April 1, 2018. Jennifer is a former research assistant with CLF's Food System Policy Program. She received a Master of Public Health degree from the Johns Hopkins Bloomberg School of Public Health in 2018 and is currently pursuing a Master of Science in Sustainable Development from Utrecht University.